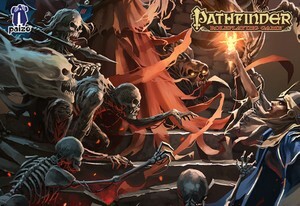 Made from all sorts of elements we developed for Paizo's "Strange Aeons" Adventure Path, this visceral SoundSet is perfect for any low to medium power undead encounter... Ghouls, Ghasts, Skeletons, Mummies... Politicians. There's even a mood to use when a Character is ability damaged or paralyzed = mad ringing in the ears, blurring of senses... you know... mid way through a political debate.